Corsair is one of the oldest names in the world of computers. Over the years corsair has introduced many different computer related products and the world has loved almost all of these products. One of the things that made Corsair really famous among gamers are the specially designed peripherals for gaming. Corsair has produced these amazing computer casings, keyboards, mouse, headphones and speakers over the years, and gamers have fallen in love with the company for its amazing products. Corsair is known for producing some of the greatest gaming mice that gamers have preferred for years. In simple words, corsair has set a standard in the world of gaming. 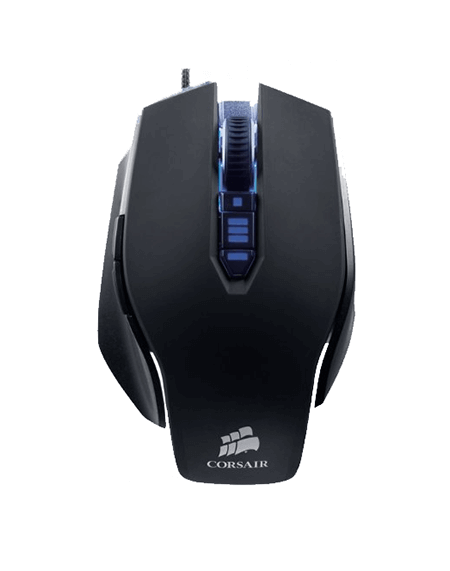 One of the latest products that we will be reviewing today is the Corsair Vengeance M65 FPS gaming mouse. This mouse is made for ultimate performance and it does exactly what it is built for. This mouse is designed for the FPS (First Person Shooting) games from each and every aspect. FPS games are the fastest types of games and one has to be as fast as possible, both mentally and in terms of hardware. While making someone’s mind faster is not possible, their actions can be registered much faster by using the proper hardware and peripherals. Corsair Vengeance M65 is the best option for improving your aiming and movements in an FPS game. This amazing Corsair Vengeance M65 FPS gaming mouse has 8 buttons that the users can customize according to their requirements. The mouse has a firm build and the two main buttons are really great and easy to press, even at a rapid pace. The sides are specially textured to provide extra comfort for long playing hours. The scroll wheel has a ridged rubber finish which ensures proper fast scrolling in the game. The DPI is controlled by two small buttons that lie below the scroll wheel. These buttons are easy to press during games. There are three additional buttons on the thumb side of this mouse. Two of these buttons can be customized by the user. The third is the crosshair button that has an amazing function – activating sniper mode. In this mode, the DPI of the mouse is decreased, which in return decreases the mouse speed, which is ideal for shooters. 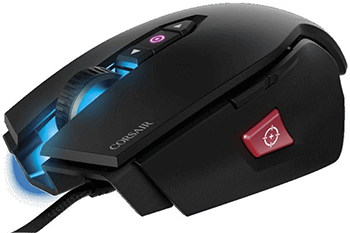 Another great thing about this Corsair Vengeance M65 FPS gaming mouse is that its weight can be adjusted to the needs of the gamer. There are three detachable weights which can be added or removed at any time to fit the hands of the gamer. The software of this mouse is really great and allows almost all the customizations that one could think of. Unfortunately, there is no guide to look at in order to configure the software properly. With so many features it is among the best gaming mice. The great thing is that when you buy it you can get one of the best gaming mouse pads at a deal.